Xiaomi Redmi Note 5 will come with 5.99-inch Full HD+ display and Android 7.1.2 (Nougat) with MIUI 9. It packs 2GHz Octa-Core Snapdragon 625 14nm SoC with Adreno 506 GPU. There will be two RAM storage models: 3GB RAM with 32GB storage and 4GB RAM with 64GB storage. 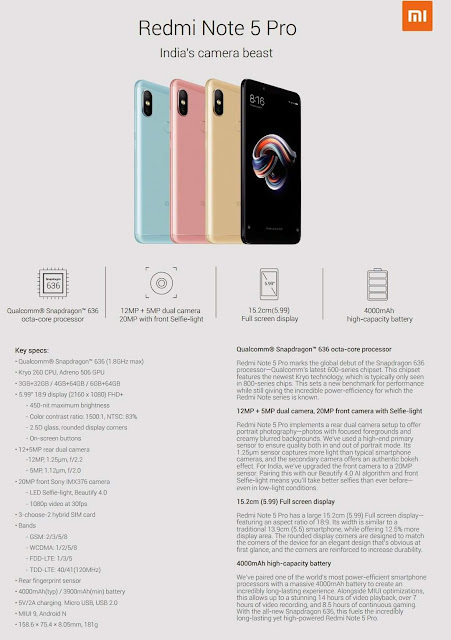 The phone has 12 megapixels rear camera and 5 megapixels front camera. Both cameras have support of LED flash. 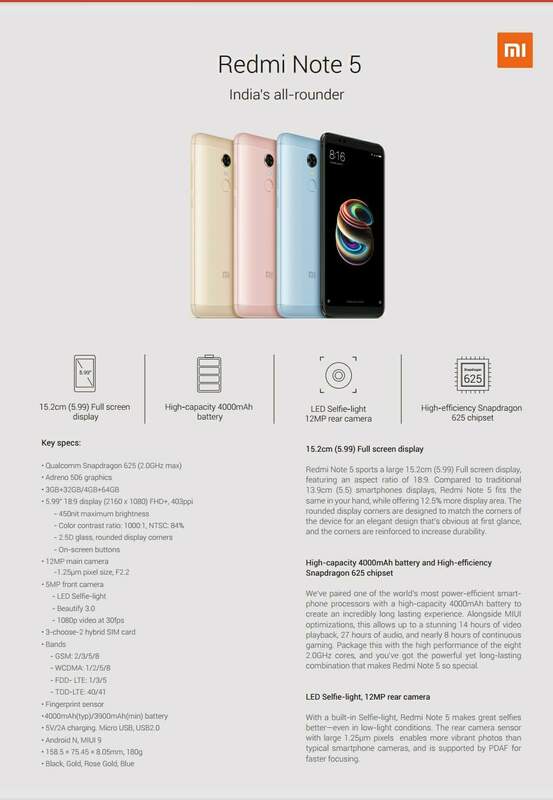 Other specs including Fingerprint sensor, Infrared sensor, 4G VoLTE, Wi-Fi 802.11 a/b/g/n (2.4GHz + 5GHz), Bluetooth 4.2, GPS + GLONASS and 4000 mAh battery.